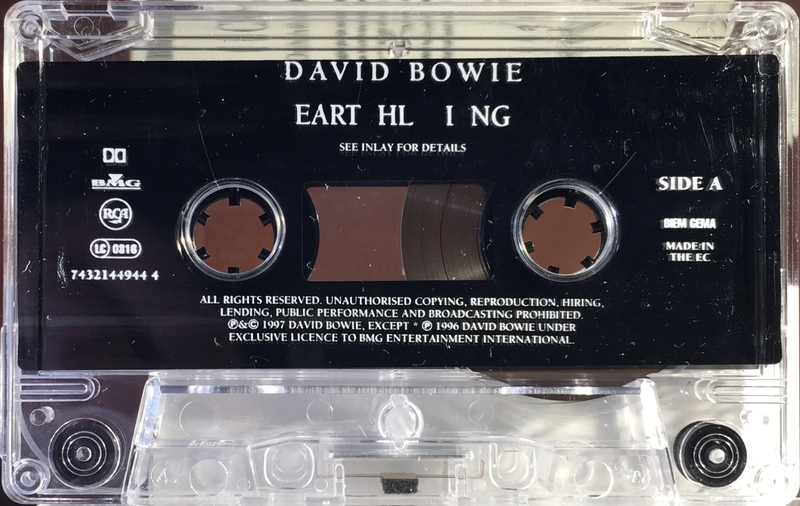 Earthling: EU; BMG/ RCA, 7432144944 4; 1997. Concertina style cover on thick, glossy, folded paper with full frame photo on front, spine and rear panel. 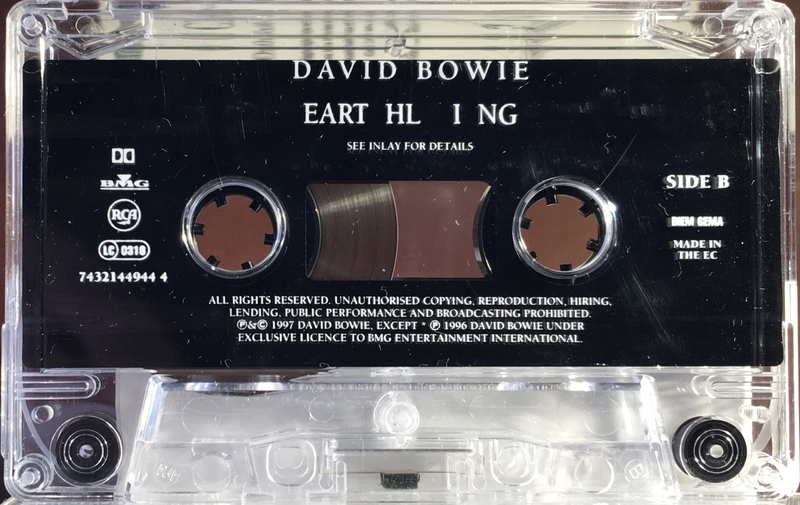 Album artwork incorporating track and personnel information printed over the remaining six inner and eight rear panels. White ink printed directly to transparent shell with plain slip sheet. RCA and BMG logos on shell.